Thank you for stopping by Online Brokerz. We are a dedicated and successful group of professional stock market traders and investors. OBz was founded to help novice traders learn how to trade and invest successfully right from the start. 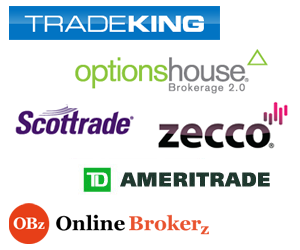 There are many online stock and investment brokers online today, but finding the best one for you may be difficult. You need to pay close attention to each ones fees and charges to help protect your investment returns. Our goal is to review the best online brokers available and provide you with honest and useful information so that you can make the best decision for yourself. Buying stocks online can be a difficult task for beginner investors. There’s a lot to learn including the risks involved in each stock as well as the predicted return on the stock investment. A beginner should never invest it all at once. One should invest gradually, monitor the market situation and tackle situations tactfully – not influenced by fear or greed. Learning how to identify the best investment opportunities is an important task. However, if you don’t want to take risks, we can help make the hard decisions for you by pointing you in the right direction.